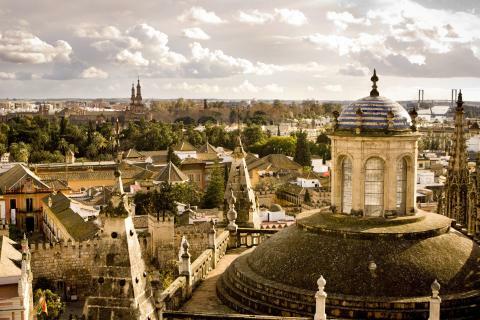 Seville is an endearing place, it bursts at the seams with gorgeous tapas infusions and a culture that invites you in, whoever you are, wherever you have been – Seville wants to be a part of your journey. There is a certain anonymity that precedes Seville, not many people know of its alluring architecture and animated locals, keen to welcome newcomers with open arms. Your first snapshot of Seville will be the waterfront, where you may be able to steal a glance at the Triana Bridge. Horse and carriage often trot along here carrying sightseers, or perhaps locals who just like to travel in style. Situated on the Guadalquivir River plain amongst many orange blossoms and sand-dusted spires and turrets, the city is home to the epic Plaza de Espana. In fantastic settings of grandeur roads lined with towering trees, this wonderful piece of handiwork is famed for its popularity with Hollywood, having been the backdrop to many films, including Lawrence of Arabia. Don’t be fooled by its sparkling résumé and its acquaintance with the City of Angels - Seville doesn't go out of its way to impress. The exciting feeling of wanderlust will be courtesy of its refreshing originality. No-where else will you feel more at home and equally, more out of your comfort zone. Bars open late and shut early hours of the morning, it’s a place where flamenco is the rhythm of the night and refreshing rebujito cocktails are the drink of choice. The need to pick up a guide book may wash over you. Forget it – quickly! You will often come across the most secluded treasures by simply wandering the cobbled backstreets of the main town. The little shops that occupy the stone patchwork lanes and street corners are often family run and sell traditional Spanish shawls and fans – the perfect spot to pick up a memento. As legend would have it, the city is said to have been discovered by Hercules. There were many invasions throughout the construction of Seville as a beautiful and flourishing destination, meaning there are structures and buildings of varied backgrounds and influences. Seville is a hotspot for future artists and culture vultures due to its blend of modern and traditional sculptures and buildings. A rather popular one is ‘The mushrooms’, or more formally known as ‘The Metropol Parasol’. For those brave individuals there is a spectacular view from the top where you can walk around at your leisure. 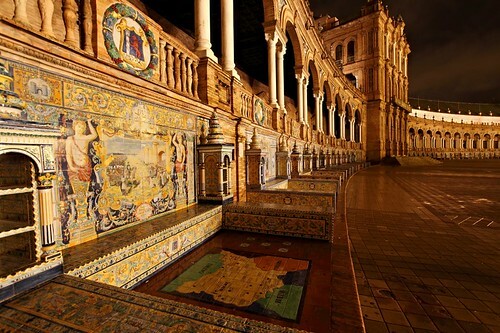 The Alcazar Palace is not far from the centre of Seville and features some incredible Moorish architecture. The golden hues and ornate craftsmanship is visually stunning and the feeling of being seemingly insignificant under its watchful eye is both unnerving and serene. In stark contrast to this, the Seville cathedral is a gothic affair, also said to hold the remains of Christopher Columbus. The unusually high ceilings and sweeping alcoves make this incredible structure a jewel in the city of Seville. Fred. 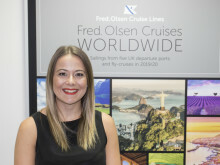 Olsen Cruise Lines’ Braemar will be calling into this traditional Spanish city in 2015. What’s more, you will be in port for the closing evening of the Feria de Abril (Seville fair). Click here for more details.